Welcome to the Official Blood Bowl 2 2018 World Cup! 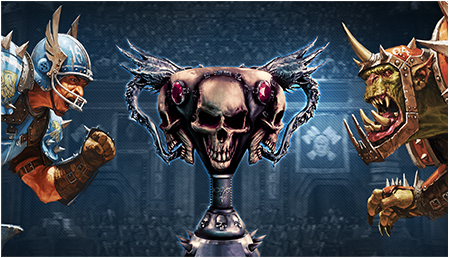 Compete for more than $30,000 in prizes and become the next Blood Bowl 2 World Champion! Compete against other coaches to win amazing gifts from the $30,000+ prize pool including ASUS/Republic of Gamers’ most powerful gaming equipement (desktop computers, keyboards, mice etc...) as well as Warhammer games and more than $10,000 in cash. Starting from April 4th, 2018, enroll and participate in the Qualifying Phase to get a chance to win a ticket for the World Cup. Besides the Public League, a number of community-led private leagues will hold tournaments where you will be able to compete for tickets to the Play-Offs. Get in touch with the admins for the league of your choice to learn about their rules and register. 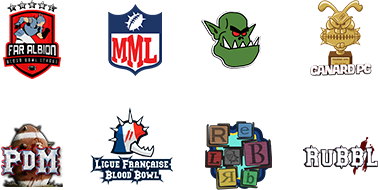 The 8 best players from previous competitive seasons of Blood Bowl 2 will be invited to participate in the Invitational Cup, a one-time tournament granting 2 tickets to the Play-Offs. Check out the competition from July 4th to July 12th on our official channels as these coaches battle it out for the last 2 spots in the World Cup! 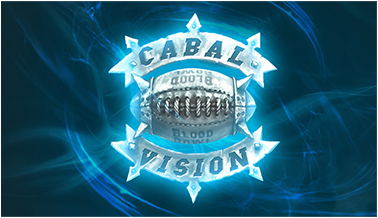 Starting on April 4th, coaches can register to the numerous official Community Leagues, and to the Champion Ladder competition in the Cabalvision Official League for a chance to earn one of the 64 coveted admission tickets to the World Cup Play-Offs. The number of tickets for the final tournament given to each league depends on the number of participating players in it. The Blood Bowl 2 2018 World Cup Qualification Phase is open to play on PlayStation 4, Xbox One and PC. The Play-Offs will be played on PC and will require a computer. For more information, make sure to read the Terms & Conditions. The Blood Bowl 2 2018 World Cup Play-Offs will start on July 16th, 2018 with the best 64 players from the Qualification Phase and will last 4 weeks. Each player will win exclusive gifts at each round of the Play-Offs. The winner of this final tournament will be declared the 2018 Blood Bowl World Champion!